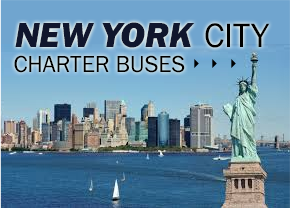 Select united states coach for your charter bus needs! From its splendid lobby to the 86th floor observatory perched over 1,000 feet above the city streets, the Empire State Building gives visitors a lot to admire. No visit to NYC would be complete without dropping by at this Art Deco design masterpiece, which is perhaps the most popular office building in the world. Open past midnight throughout the year, it is a romantic place for a late-night kiss. On clear days, the view encompasses 5 states. Frank Lloyd Wright’s innovative mid-20th-century design led to one of the most popular buildings in the world – the Guggenheim Museum. Inside, an excellent collection of contemporary art awaits for everyone to see. The collection that was originally conceived by Solomon R. Guggenheim presents works by Jackson Pollock, Willem de Kooning, Vasily Kandinsky and Camille Pissarro. With her torch afire over 300 feet above the ground, the Statue of Liberty is only accessible through commercial ferries that offer remarkable vantage points for great vacation snapshots. This inspiring symbol of freedom has been a symbol of hope in New York Harbor since year 1886. These are just some of the best places to visit in NYC. 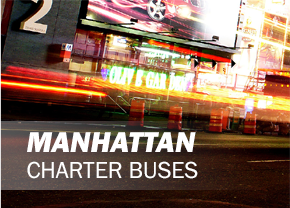 With mini bus rentals in NYC, transportation and parking issues don’t apply. Some of the buses are fully equipped with DVD, Wi-Fi, tables, TV and CD. It’s definitely the best way for a group to explore the city. 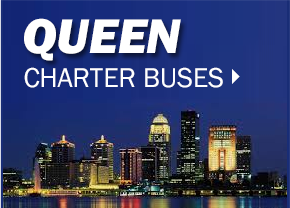 Who is the First Company to Create a Bus and Why? Copyright © www.UnitedStatesCoach.com 2018 All Rights Reserved.